GARDAÍ HAVE RENEWED their appeal for information about the whereabouts of Tina Satchwell ahead of the second anniversary of her disappearance. Tina, now 47, was last seen at her home on Grattan Street, Youghal, Co Cork, on 20 March 2017. She was reported missing four days later by her husband Richard. In a statement, gardaí in Midleton said the investigation into her disappearance “has seen a lot of media attention though various appeals and searches carried out”. “To date, this investigation has resulted in over 330 separate lines of enquiry being conducted, including liaison with colleagues internationally and engagement with Interpol,” a spokesperson said. Gardaí and the Defence Forces have conducted searches in the Youghal area and at Mitchel’s Wood, Bridgetown, Castlemartyr, in connection with the investigation. More than 100 hours of CCTV have been viewed and in excess of 100 statements have been taken to date. Gardaí in Midleton have been assisted by specialist garda units including the Garda Air Support Unit, the Garda Water Unit and the Garda Dog Unit. Anyone with information has been asked to contact Midleton Garda Station on 021 462 1550, the Garda Confidential line on 1800 666 111 or any garda station. 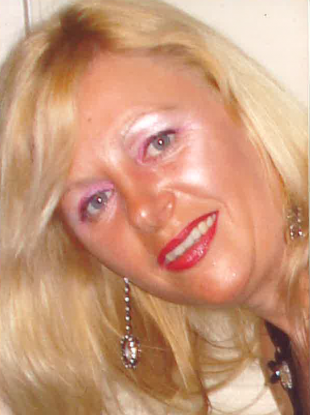 Tina is described as 5’7’’ in height, of medium build, with blonde shoulder length hair and blue eyes. Email “Gardaí renew appeal for information on second anniversary of Tina Satchwell's disappearance”. Feedback on “Gardaí renew appeal for information on second anniversary of Tina Satchwell's disappearance”.